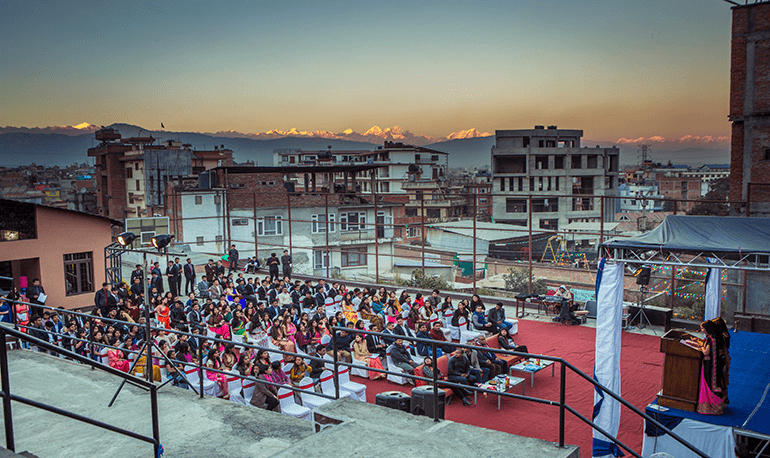 Kathmandu College of Management celebrated its ‘14th Annual Day’ on 14th November, 2016 where KCM alumini from variouus industries shared their experience inside and outside KCM in the presence of chairman Mr. Nilkantha Upreti, board members and the faculty. The programme proceeded by rewarding the council members and the deserving students for their continuous hard work and dedication throughout the year which was followed by handing over the tenure by the outgoing council to the upcoming council. The event was followed by dinner and a dance party to make it more fun and memorable.